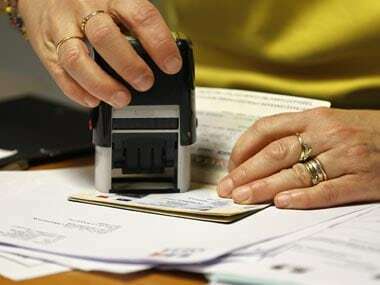 Mumbai: Tightening of H-1B work visa norms by the US is likely to put cost pressures on the Indian IT services firms and impact their margins due to increase in compliances and rise in onsite hiring, according to a report. However, the impact will be company specific and relative to H-1B visa dependence, rating agency ICRA said in its report. "The changes will disqualify certain positions currently eligible for H-1B visas, thereby impeding the movement of low-cost skilled labour from India and will have direct bearing on margins," said Gaurav Jain, vice-president, corporate sector ratings, ICRA. The US is also contemplating on awarding visas to the most skilled or to highest-paid beneficiaries. ICRA feels this move will work against the Indian IT services sector (H-1B dependent) as the average wage is approximately lower by 25 percent compared to companies that are not dependent on H-1B visas as per estimates. A firm is defined as H-1B dependent if more than 15 percent of its US full-time employees are on an H-1B visa. Jain said awarding of H-1B visas based on highest skill or compensation, will leave less headroom for Indian companies to get such visas. Consequently, increased onsite hiring or raising the compensation for H-1B visa applicants will impact companies' margins and will be credit negative, he said. "However, the impact will be company specific and relative to H-1B visa dependence," he added. The US government is also planning to permanently end work authorisation (H-4 visa) granted to spouses of H-1B visa holders. 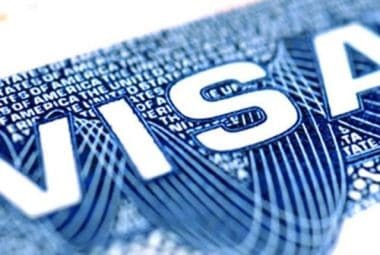 ICRA feels revoking such visas will have an indirect negative impact on workers currently employed on H-1B visas or seeking such visas whose spouses are working professionals. Jain said Indian companies have started to ramp up onshore hiring. "Leading firms are also increasing their proportion of offshore work to reduce dependence on such visas, though the magnitude of such shifts is expected to be marginal as only certain services are amenable to higher offshoring (testing, IMS) compared to others," he said. Overall, ICRA expects a ramp up in onshore hiring, particularly for entry-level programmers to maintain a competitive cost structure, while reducing dependence on H-1B visas for such low-cost skilled labour.